Your time is valuable. Only 24 hours in a day, right? Factor in work, family time, household tasks, that nighttime yoga class and making dinner on the daily and those hours become even more sparse. 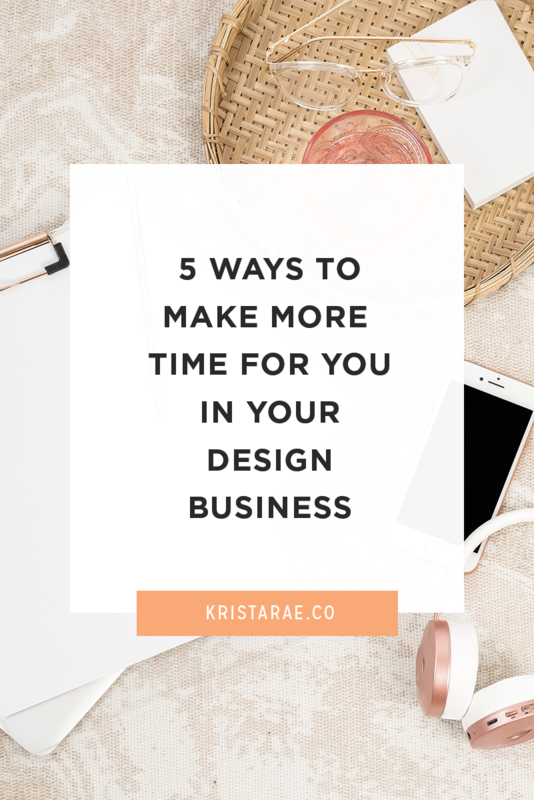 While it may seem impossible, there are ways to make more time for you in your design business. They may take a little bit of extra time up front, but trust me – it’s worth it! When you first started your business, you probably wore a lot of hats to make it all happen. You were the designer, developer, marketing strategist, virtual assistant, bookkeeper, social media manager – you get the idea. You had a lot going on. You probably still do! When you take a look online at the designers you admire most; they are focusing on what they’re best at – design. While I’m sure you’d love to get to the point where all you do is design all day, it doesn’t happen all at once. You need to remove things from your plate and start outsourcing slowly. Think of a couple of small things you could pass off and slowly add to your list. For example, I started by outsourcing social media scheduling and blog post editing with a VA that I hired for 5 hours per month. It may not seem like a lot, but just taking 5 hours worth of work off of my plate was terrific. Think of outsourcing this way – you’ll have more time to focus on what you’re best at each time you outsource something from that list. Not only that, but you will free up time to work on your business too! Intentionally planning for your business sets you up for a level of success that you can not achieve otherwise. If you go with the flow and “fake it til you make it,” there will be little to no progress to show at the end of it all. Up until recently, I was the person who felt like stopping to plan more than once or twice a year for my business was a waste of my time. Thank goodness my perspective on this changed. Not only do I make time yearly to plan for my business, but I review things daily, weekly and monthly. It may seem like a lot when you glance at these items below, but it isn’t. Most of these only take a few minutes. Daily Planning – I take time daily to identify the most important tasks of the day and determine the priority of those items. Weekly Planning – I choose the top 3 tasks that must get done to move me closer to my monthly/quarterly goals. Monthly Planning – I select which big tasks to work on that will get me closer to my quarterly/annual goals. Making these times for planning a habit has helped me make sure that I’m taking action that matters. I focus on completing tasks that are moving me towards my big-picture goals. Try setting aside 5-10 minutes each Monday, 1-2 hours per month, half a day per quarter and 1-2 days per year. Look at your schedule and mark it down to get it done! When you’re pricing your work at a lower rate, it can honestly be hard to be motivated to do anything other than client work. You have to hustle constantly to bring in enough money to make ends meet. 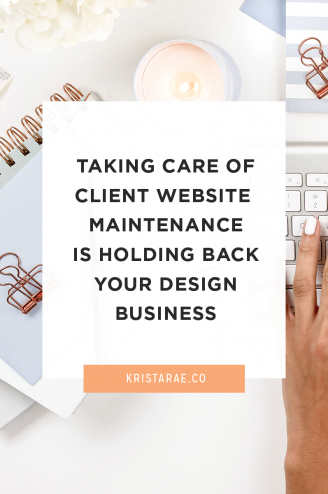 You need to realize that you are worth more to your client than $500 for a website or $5 for a few graphics. You know this! It is time to bump up those prices! Your clients need you because you’re better at what you do than them. You free up their time and let them focus on what they are best at and let you focus on what you are best at completing. 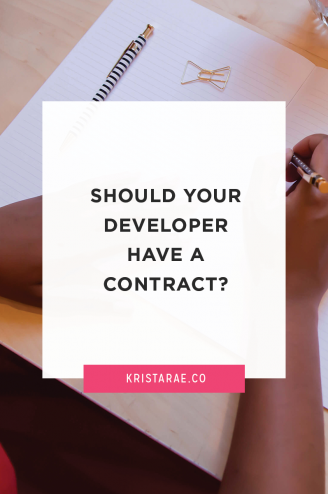 Another thing to think about is low prices usually attract difficult clients, and we know how much extra time a problematic client can take up. Take time to restructure your pricing to help you sell the results you provide. Make sure to charge prices that make the work you are doing worth it. One of the fastest ways to waste your time is to have to figure out something that you’ve already figured out before. 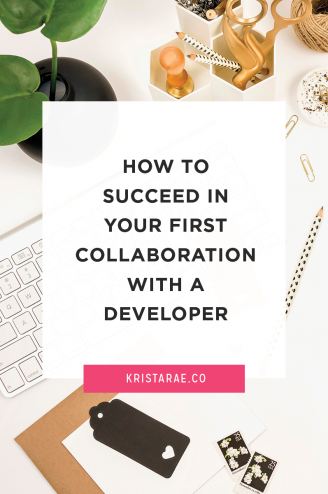 For example, you have gone through the motions of onboarding a new client, working on the revision process for a design project or even promoting your latest blog post on social media. You have done all of these items more than once I am assuming as well. Do you have a system in place for these? Systems are so important for cutting down on time to complete tasks. Think about creating step by step instructions or even making a screen recording of what you’re doing. 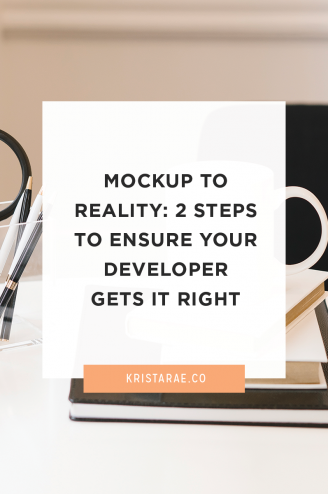 This will help save brain space in the future when you have to rethink how you complete a task or even make outsourcing a task in the future SO much easier. Think of the things you repeatedly do during the week. Take one hour per week and develop a system or process. Record this process to paper or through a video recording. File and save. You probably have your business on every social media platform out there, trying to keep up with the latest trends of IGTV or livestreams or hashtags, etc. It is a lot to juggle and you probably still feel like you are missing out on something. The thing is most successful designers only have one or two methods of marketing that really work well for them. The others are a waste of time. Reflect on where your best clients are coming from and focus on those places. For me, Instagram and referrals are the way to go. Everything in my business got better when I stopped spending so much time “networking” in Facebook groups, recording weekly YouTube videos, and scheduling 10+ posts per day on Twitter. Instead, I now focus on Instagram and making real connections with people in the industry. This marketing method is my gold mine. Take a deeper look at these 5 tips we talked about today and take action on at least one to simplify your business and make more time for you. I know that it probably seems like a waste of time, but I promise you are worth it! Want to learn even more ways to simplify your business and make it more effective and profitable? Sign up for the Simply Profitable Designer Summit! 25+ experts will be covering all kinds of topics and sharing actionable tips that you can implement in your design business right away! The best part? It’s FREE!